How to Make Perfect Pie Crust, is the detailed fool-proof tutorial that guarantees the perfect pie crust every time! 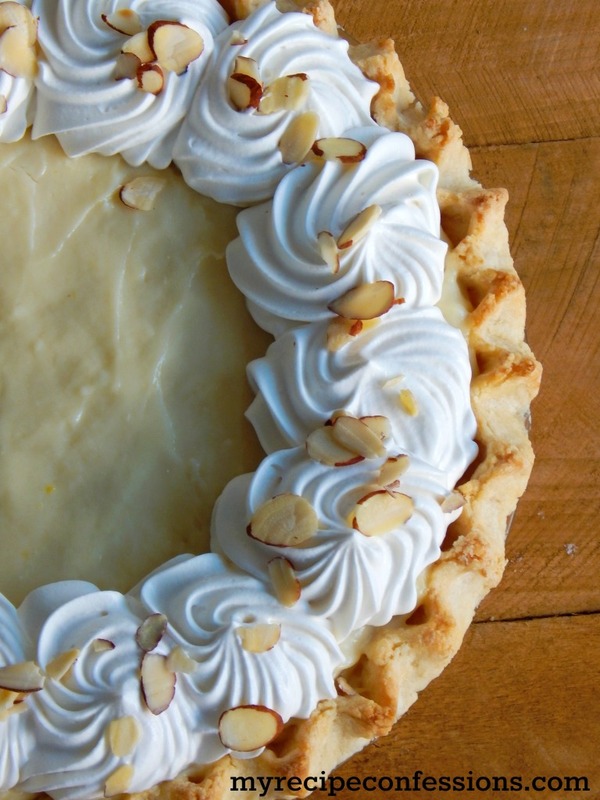 This pie crust is buttery, flaky, and tastes amazing. Don’t be fooled into thinking that pie crust made from scratch is complicated, this recipe is super easy! I have been experimenting for years with different pie crust recipes. It feels like I have tried every technique and tip out there. Pie crust can be very intimidating. If you understand the reason behind the techniques, it is easier to play around with it. 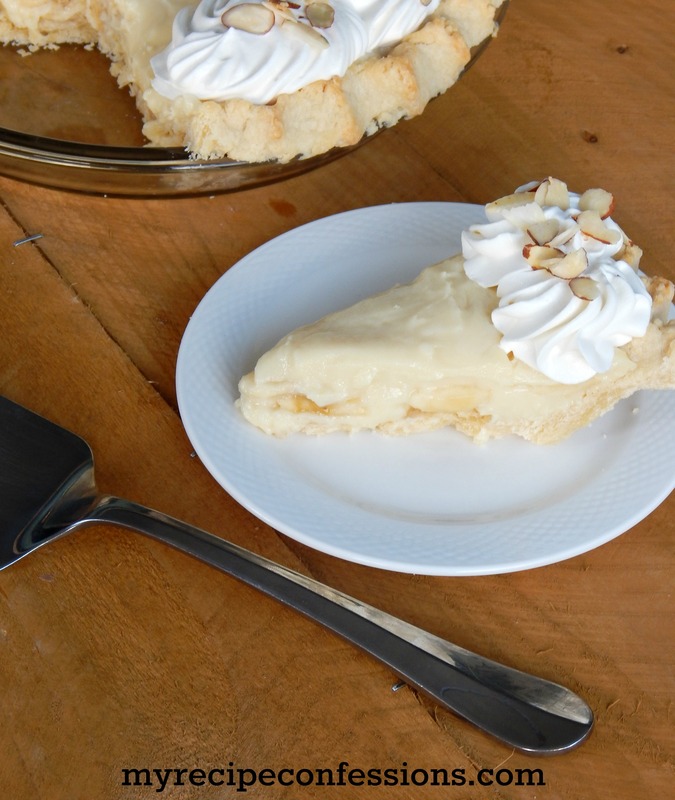 There are two keys things that you need to know when you are making pie crust. Without doing these two things you, will not be able to have a flaky pie crust. 1. Your fat (butter, shortening, lard) needs to be cold. The reasoning behind this is that when you place your pie in the oven. Once the fat starts to melt, it will cause steam that will form little pockets. When it cools, the little pockets are what makes the flaky texture. 2. You do not want to over mix the dough for two reasons. First, the more you work the dough, the more you will develop the gluten and then the fat will start to melt and your dough will be tough. Remember, you want to be able to see the fat marbling in your crust. 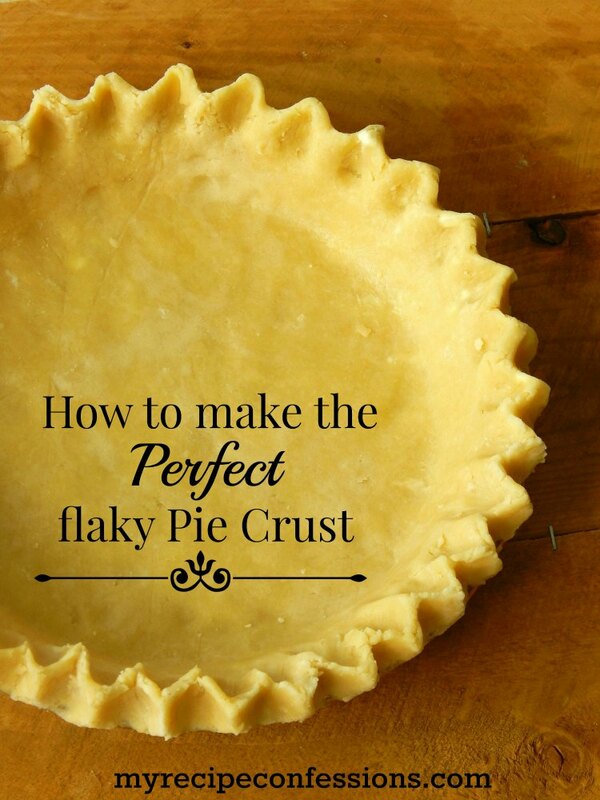 If you can see it, that means you will have a flaky crust. If you over mix it until the butter is no longer visible your dough will be tough. That being said, there are two types of pie dough; mealy and flaky. Mealy dough is not as flaky and is used wherever soggy crust is a problem. It is sturdier and is able to resist sogginess better than a flaky dough. 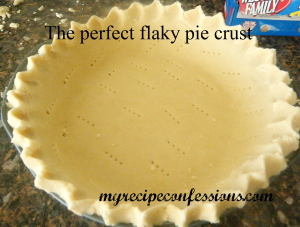 Flaky crust is best for the top crust of a pie or prebaked crusts that will be filled with a cooled filling just before it is served. 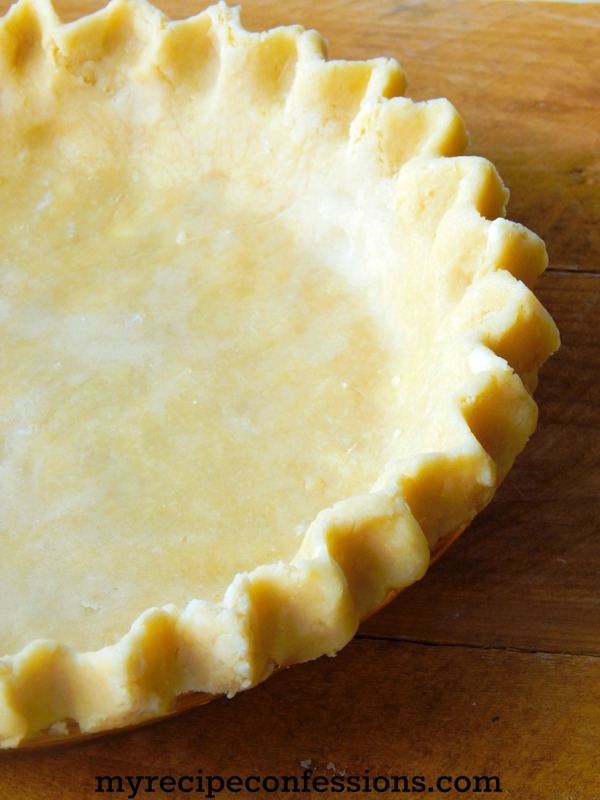 When preparing a flaky crust, the fat is ideally the size of a pea. When preparing a mealy crust, you want the mixture to resemble a course cornmeal. Because the fat pockets will be smaller, the crust will not be as flaky. 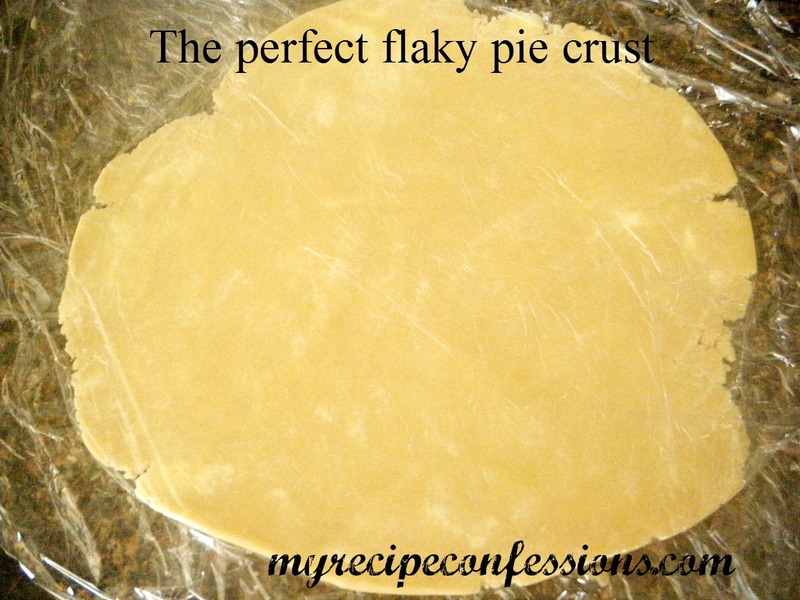 You can make the crust a few days ahead of time and freeze it until you are ready to use it. Just follow steps one through four and then place the dough in a large ziplock freezer bag and freeze it. When you are ready to use it, pull the frozen crust out of the freezer and bake as directed.Tthere is no need to thaw it out. 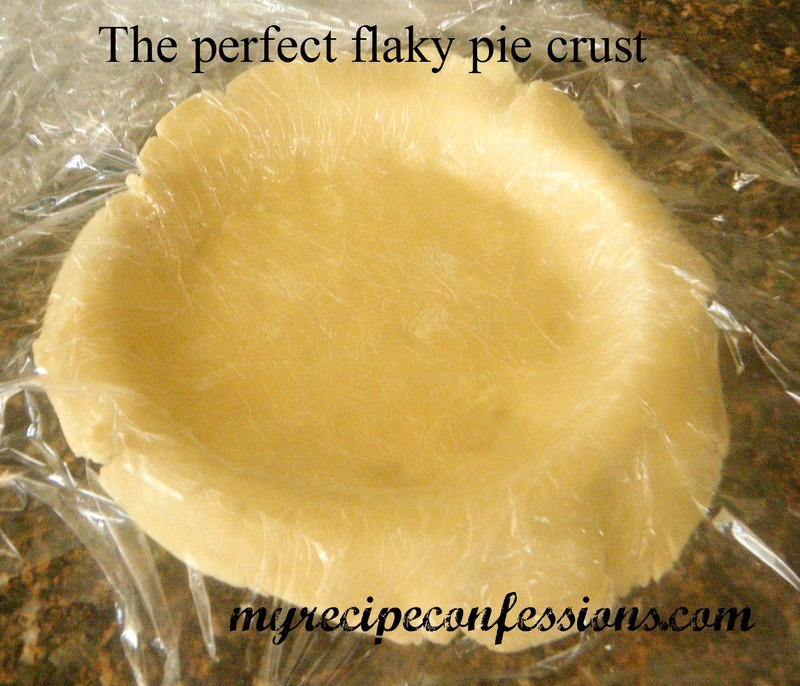 The crust can be left in the freezer for up to two months. Now that you are ready to make your Perfect Flaky Pie Crust, remember to KEEP IT COLD! I can’t stress that enough. When you are rolling it out, if it starts to stick, put it back in the fridge to chill. This might seem like a lot of work, but trust me it is so worth it in the end! You can do this. Just turn on some good music and go to work. * UPDATE: I have changed the measurements for the shortening to 3/4 cup instead of 1/2 cup and I changed the butter to 1/4 cup instead of 1/2 cup. I also cut the flour down to 2 1/2 cups instead of 3 cups and the salt is 3/4 tsp. instead of 1 1/2 tsp. Over all, I feel like these changes make the pie crust taste better and makes a flakier texture. 1. Cut chilled butter into 1 inch cubes. Place the butter, shortening, flour, salt and sugar in a large bowl. using a pastry dough cutter, cut the butter and shortening into the dough until it is the size of a peanut (siz of a pea for mealy pie crust). 2. In a small bowl whisk the egg, vinegar, and 4 tbsp. of ice water. Add the liquid to the flour mixture and cut the pastry cutter into the dough until the dough starts to come together and the fat is the size of a pea (for mealy crust you want the dough to resemble course cornmeal). 3. Lay to two strips of 12 inch long plastic wrap over lapping on the counter. Place the dough in the center of the plastic wrap and form the dough into a ball . Place two more 12 inch strips of over lapping plastic wrap over the dough. Flatten the ball of dough into a round disc. If the dough is still dry and crumbly, add the remaining tbsp. of ice water to the dough and gently mix until it forms a ball. 4. Wrap the dough disc up with the the plastic wrap and chill in the refrigerator for 30 minutes. 7. Place a 9 inch metal pie tin in the freezer. Preheat oven to 400 degrees. 8. Unwrap the plastic wrap so that it is spread out on the counter. Roll the dough out into a circle, rolling from the center to the edge. Turning and rolling to form an even circle about 1/8 of an inch thick and 11 inches in diameter. 3. Peel the top layer of the plastic wrap off of the dough. Remove the pie pan from the freezer and place it upside down in the center of the dough. Holding onto the bottom of the pie pan and dough, flip it over. 4. Press the dough gently into the pie pan. Remove the remaining plastic wrap from the top of the dough. Trim the excess dough from around the pan so there is a 1/2 inch trim around the edge the pan. 5. Shape edges as desired. 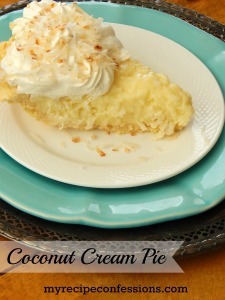 If you are making a cream pie poke holes with a fork around the inside of the pie. 6. 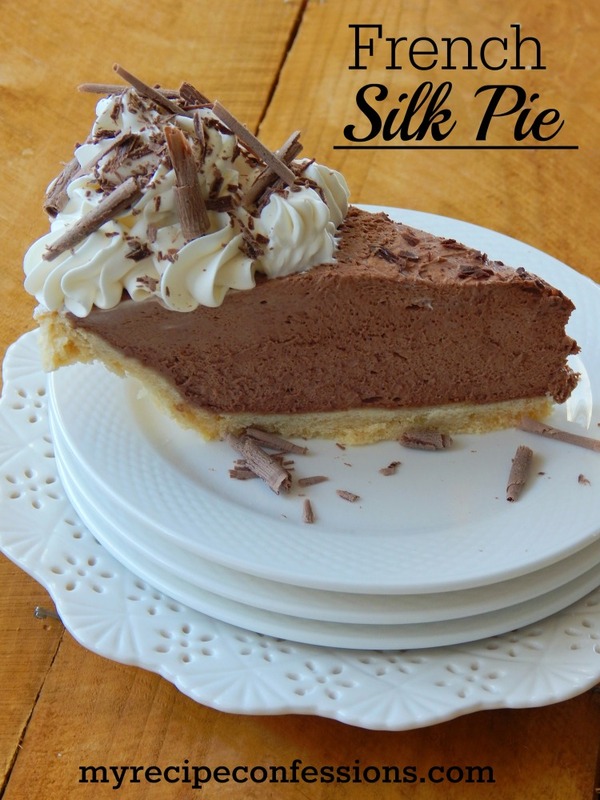 Place pie in freezer for 15 minutes. Remove pie from freezer and bake pie for 20 to 25 minutes until it is a light golden brown. 7. Remove from oven and cool completely. 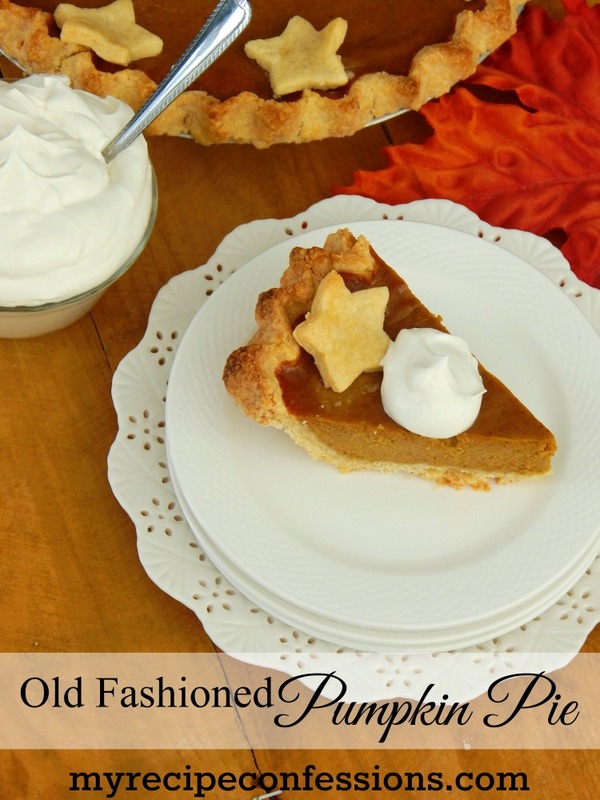 Here are a few pie recipes you I think you might like. You can use all butter in the recipe instead of shortening. Using all butter can be a little more difficult to work with. Just make sure that you keep the butter cold the the whole time and don’t over mix the dough. If the butter starts to soften than your pie crust will be tough. Some people suggest freezing the butter and than using a hand cheese grater to grate the butter into the flour mixture. How do you measure butter and shortning in “cups” when you are using cold fats? One stick of butter is a 1/2 cup. To measure shortening you have to scoop it into a measuring cup.